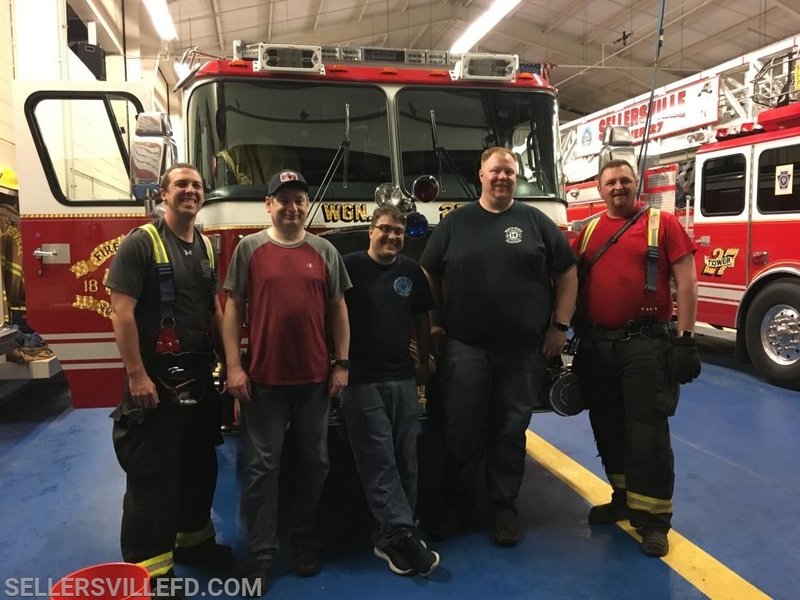 While Engine 27-1 was covering Southampton Fire Company for their annual banquet, a crew was in house at Station 27 to maintain fire protection coverage in our area. 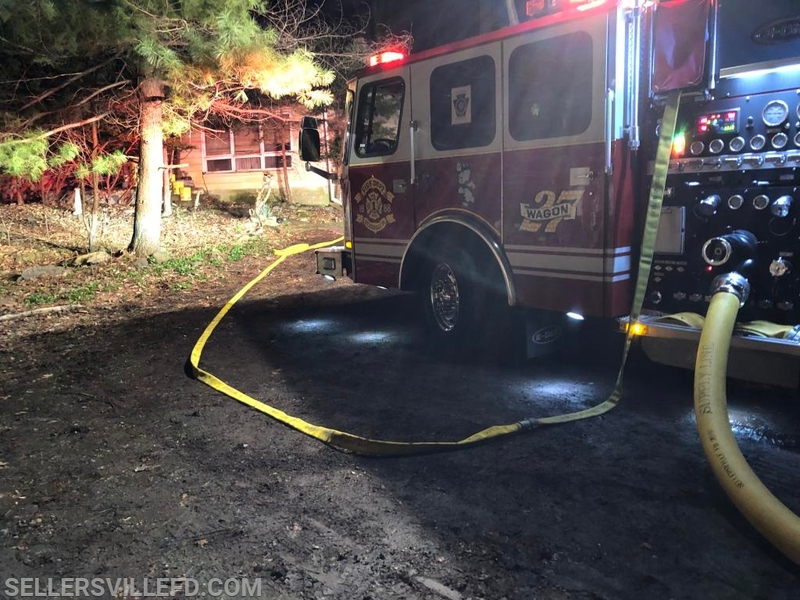 The crew was just finishing dinner when they heard a dispatch for a dwelling fire on Hill Road in Perkasie's area of East Rockhill Township. After quick communication with Deputy 26, Engine 27 was added to the call. Engine 26 was flagged down by bystanders for a bonfire in the area. Realizing this wasn't the dispatched call, they continued into the scene. Engine 27 was first to arrive at the dwelling and dropped a 5" supply line down the 400' long driveway. 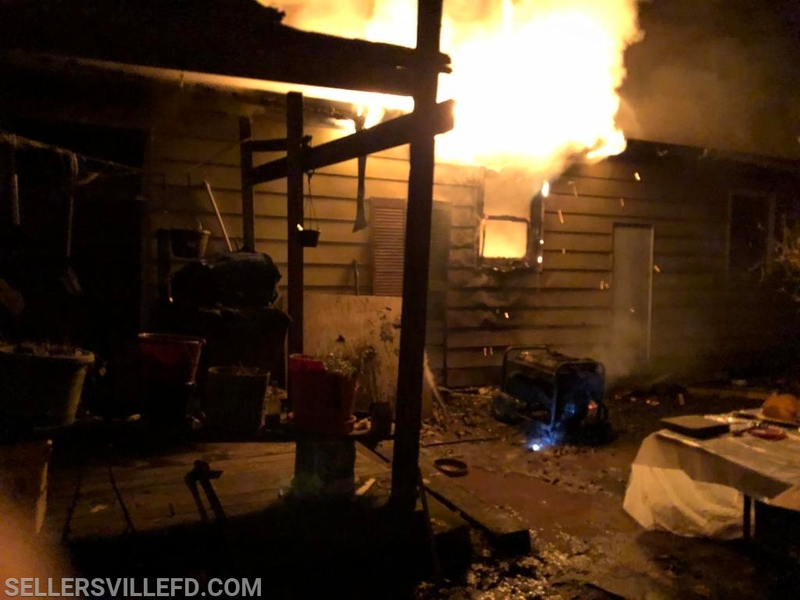 The crew pulled a 1.75" line to side C to extinguish the fire. Engine 26 arrived and supplied the 5" while their crew assisted with fire suppression. Ladder 18 (West End) split their crew, opening the roof and hooking ceilings inside. 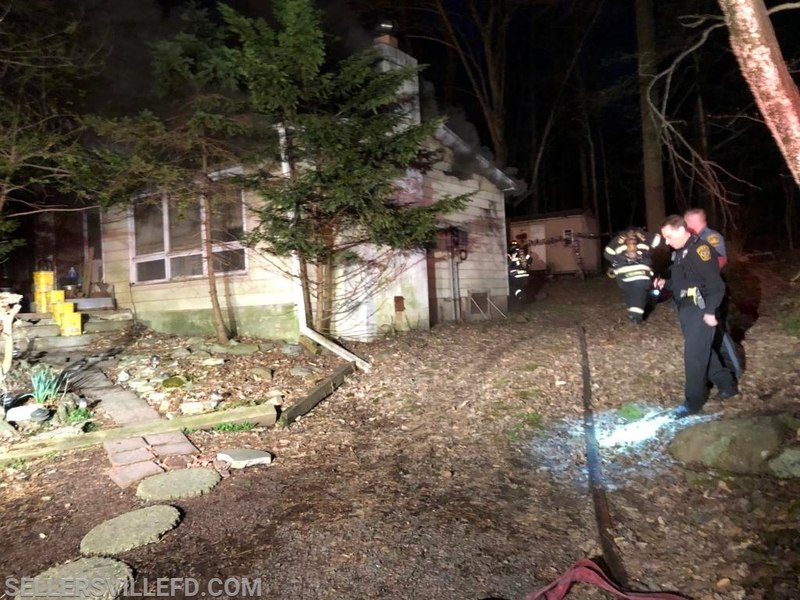 The crew from Engine 72 (Tylersport) pulled a second 1.75" line from Engine 27 to the exterior of side C.
Engine 27-1 ran one call while on their way to Southampton for the evening. Chief 2 was on scene of a commercial building with a medium smoke condition inside. 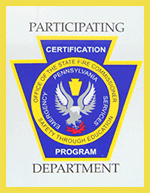 Engine 27-1 responded as part of the assignment and was available a short time later.